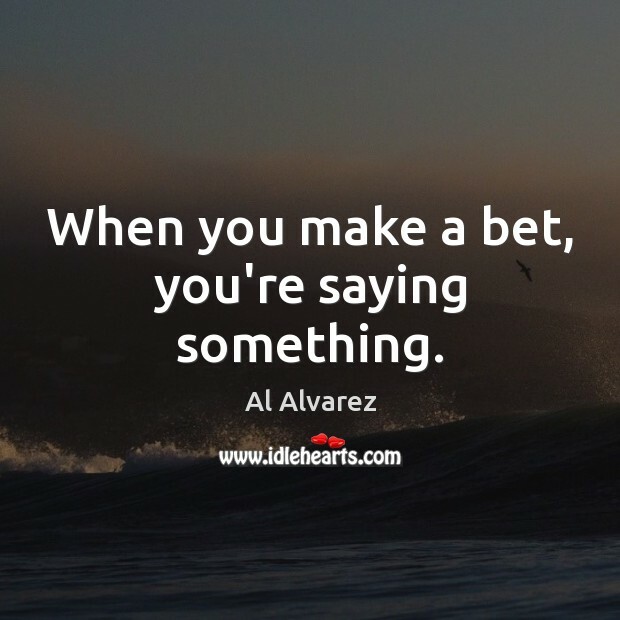 Enjoy the best inspirational, motivational, positive, funny and famous quotes by Al Alvarez. Use words and picture quotations to push forward and inspire you keep going in life! 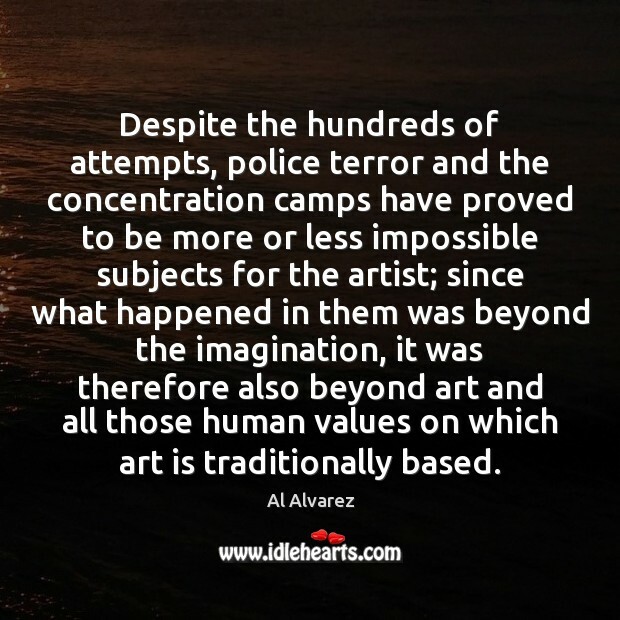 Despite the hundreds of attempts, police terror and the concentration camps have proved to be more or less impossible subjects for the artist; since what happened in them was beyond the imagination, it was therefore also beyond art and all those human values on which art is traditionally based. 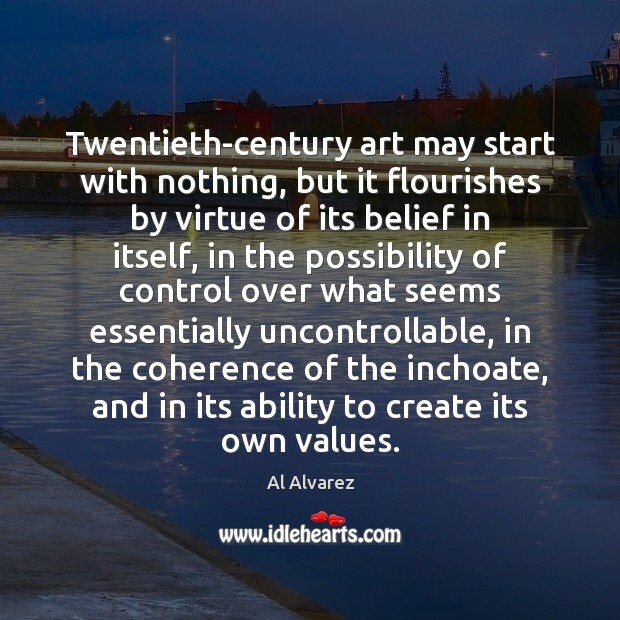 Twentieth-century art may start with nothing, but it flourishes by virtue of its belief in itself, in the possibility of control over what seems essentially uncontrollable, in the coherence of the inchoate, and in its ability to create its own values. 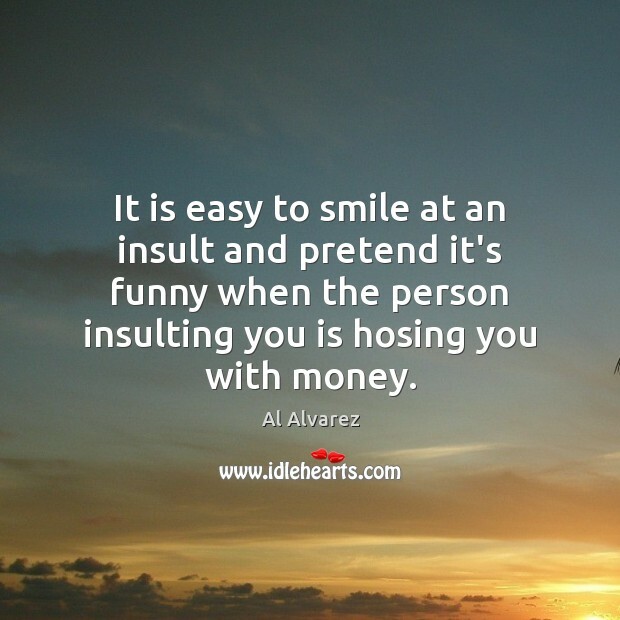 It is easy to smile at an insult and pretend it's funny when the person insulting you is hosing you with money. 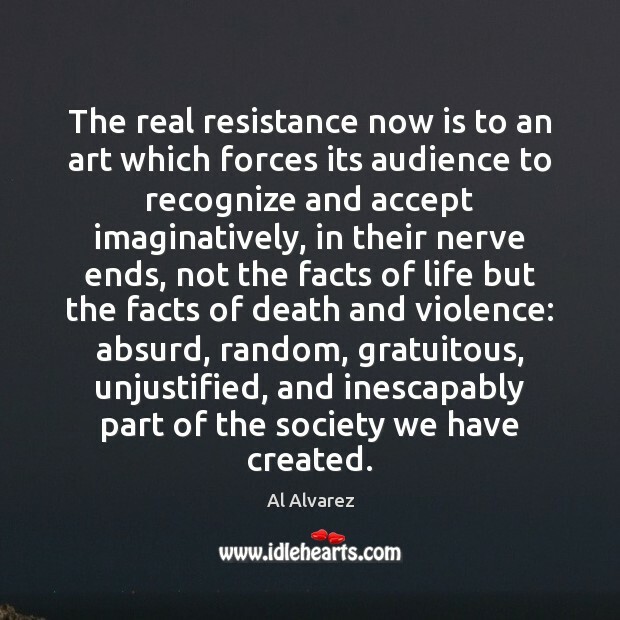 The real resistance now is to an art which forces its audience to recognize and accept imaginatively, in their nerve ends, not the facts of life but the facts of death and violence: absurd, random, gratuitous, unjustified, and inescapably part of the society we have created. 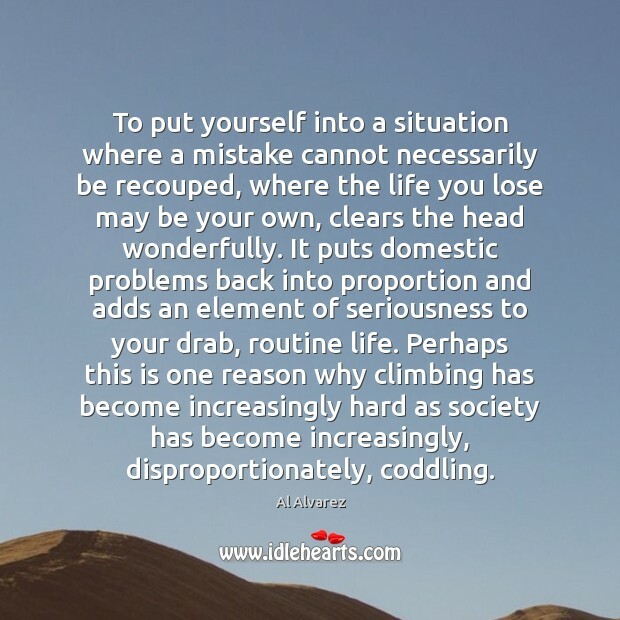 To put yourself into a situation where a mistake cannot necessarily be recouped, where the life you lose may be your own, clears the head wonderfully. It puts domestic problems back into proportion and adds an element of seriousness to your drab, routine life. Perhaps this is one reason why climbing has become increasingly hard as society has become increasingly, disproportionately, coddling. 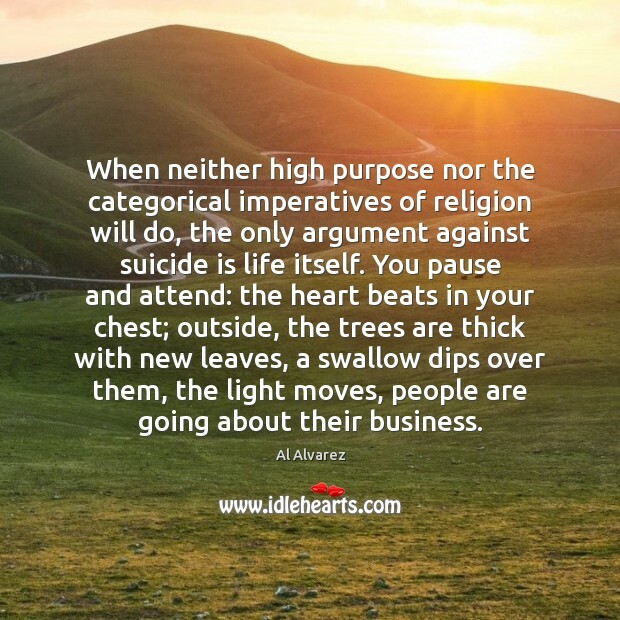 When neither high purpose nor the categorical imperatives of religion will do, the only argument against suicide is life itself. You pause and attend: the heart beats in your chest; outside, the trees are thick with new leaves, a swallow dips over them, the light moves, people are going about their business. 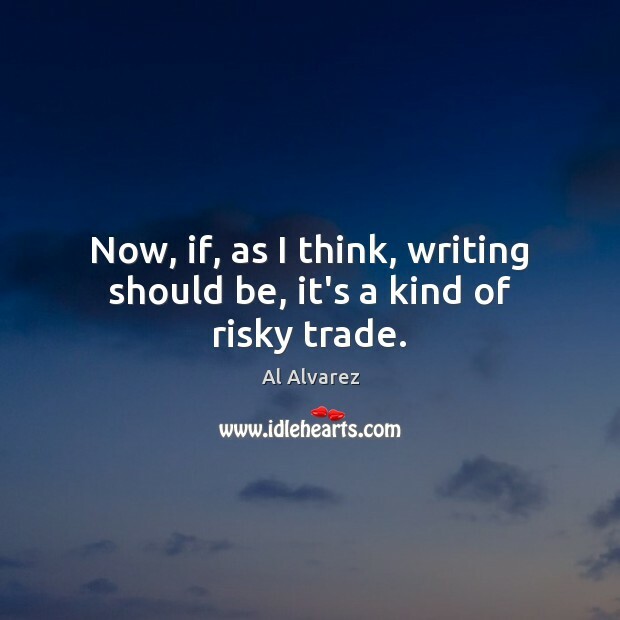 Now, if, as I think, writing should be, it's a kind of risky trade. 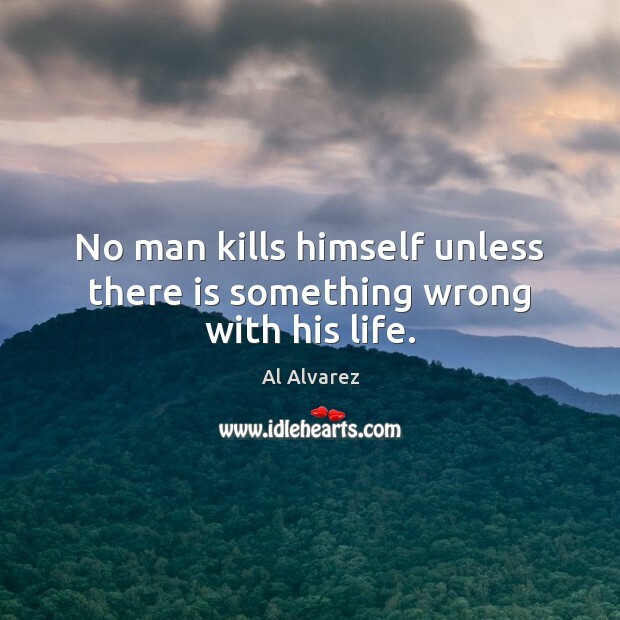 No man kills himself unless there is something wrong with his life. 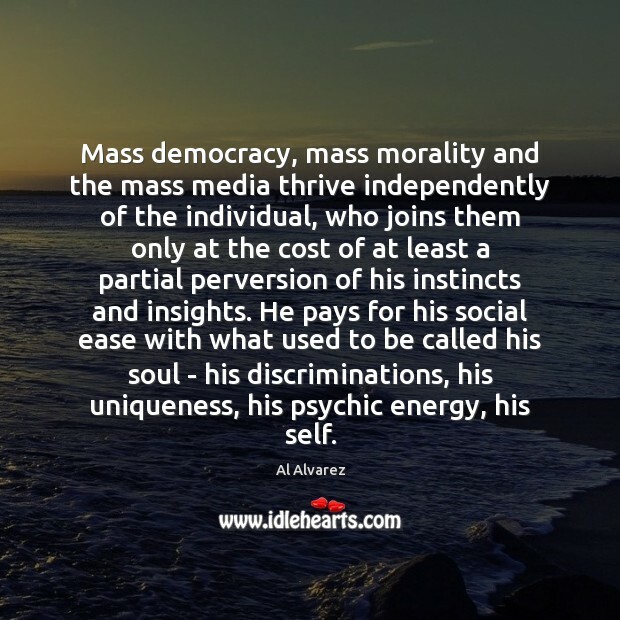 Mass democracy, mass morality and the mass media thrive independently of the individual, who joins them only at the cost of at least a partial perversion of his instincts and insights. He pays for his social ease with what used to be called his soul - his discriminations, his uniqueness, his psychic energy, his self. 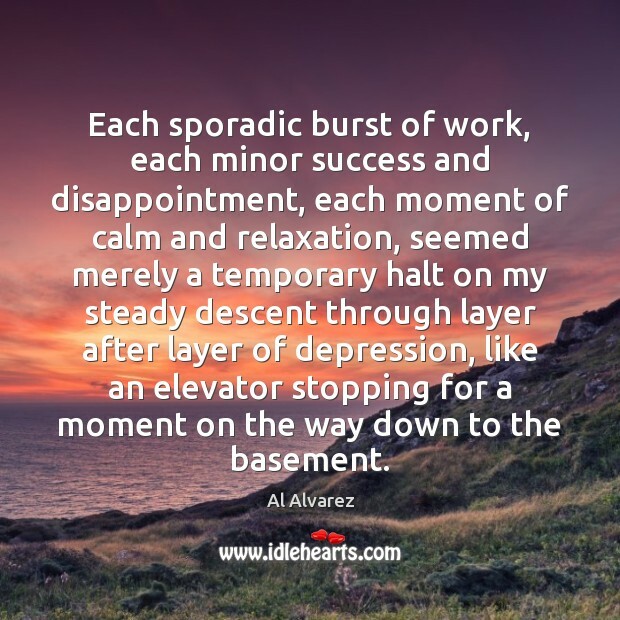 Each sporadic burst of work, each minor success and disappointment, each moment of calm and relaxation, seemed merely a temporary halt on my steady descent through layer after layer of depression, like an elevator stopping for a moment on the way down to the basement. 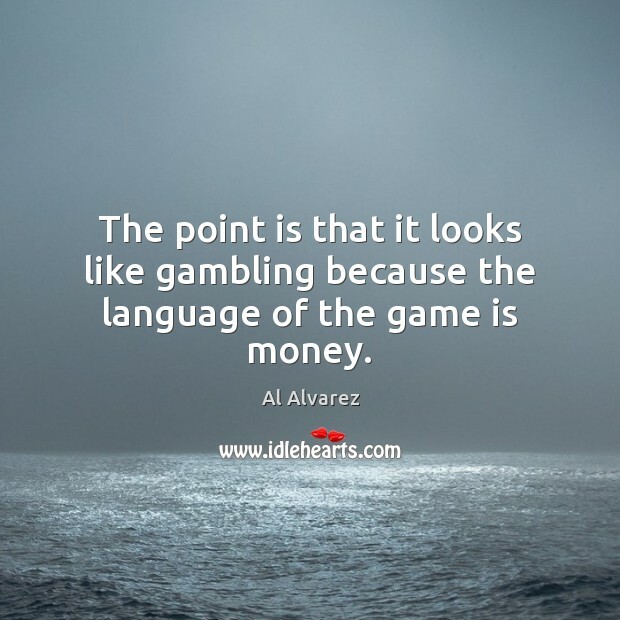 The point is that it looks like gambling because the language of the game is money. 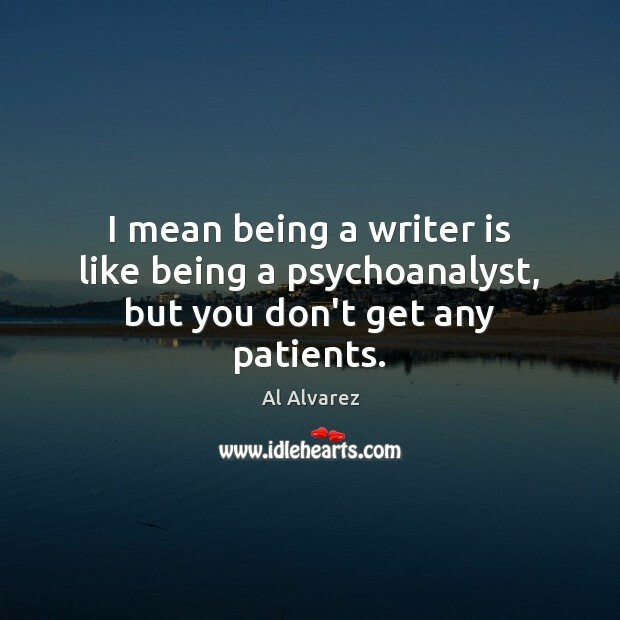 I mean being a writer is like being a psychoanalyst, but you don't get any patients. 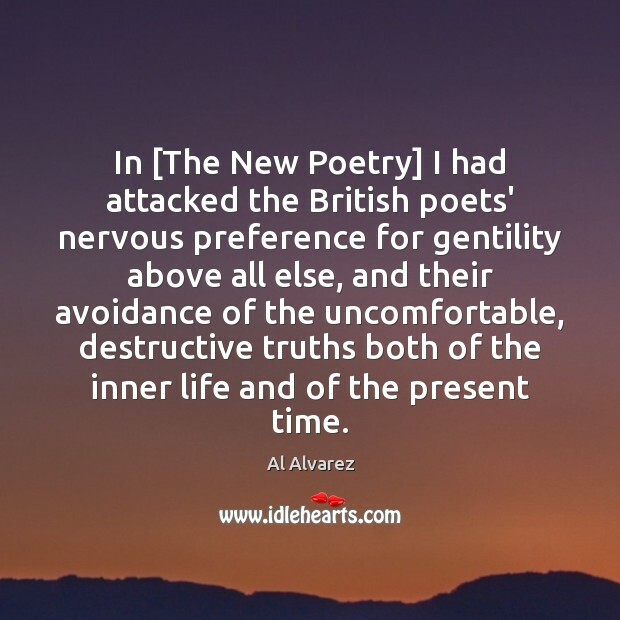 In [The New Poetry] I had attacked the British poets' nervous preference for gentility above all else, and their avoidance of the uncomfortable, destructive truths both of the inner life and of the present time. 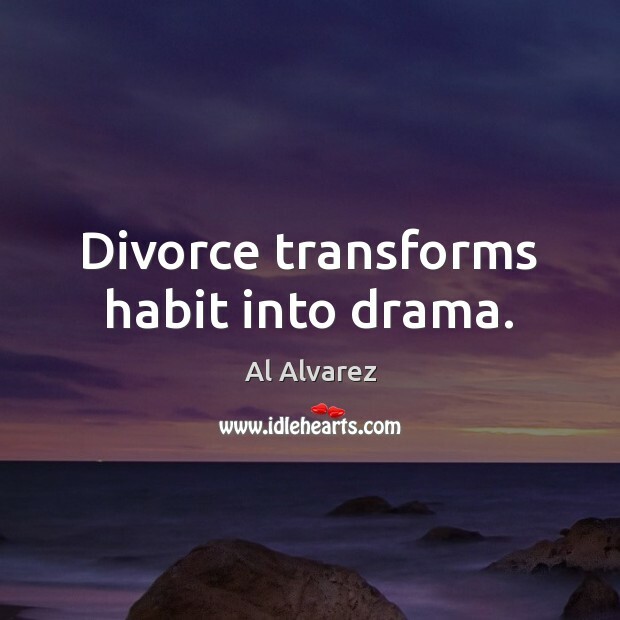 Divorce transforms habit into drama. 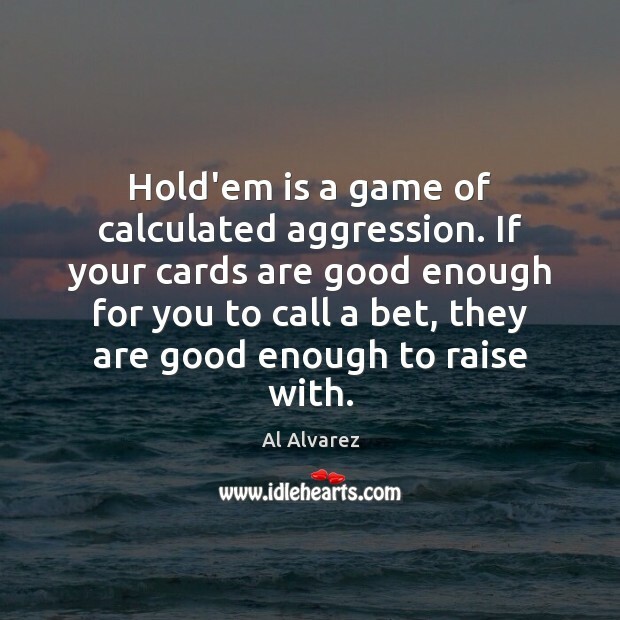 Hold'em is a game of calculated aggression. If your cards are good enough for you to call a bet, they are good enough to raise with. When you make a bet, you're saying something. 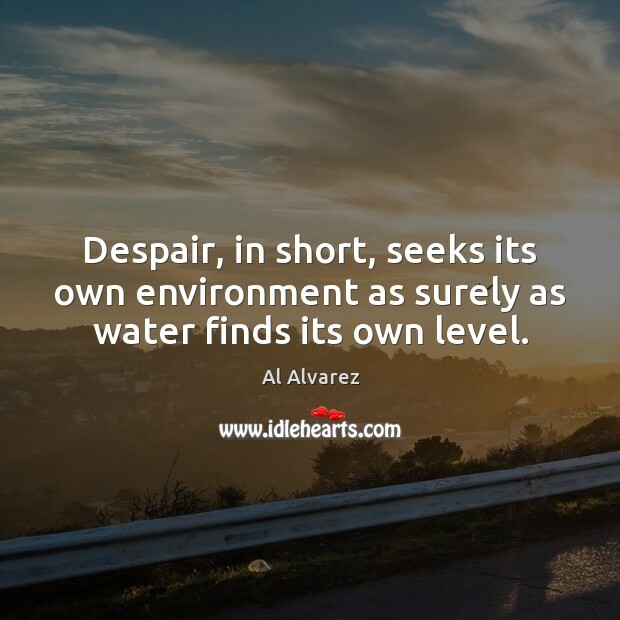 Despair, in short, seeks its own environment as surely as water finds its own level.